There’s little benefit in having a pipeline filled with deals where you’re engaged with people too low in the food chain but that’s what a lot of standard prospecting creates – meetings with people who may influence the decision but don’t who sign off on it. 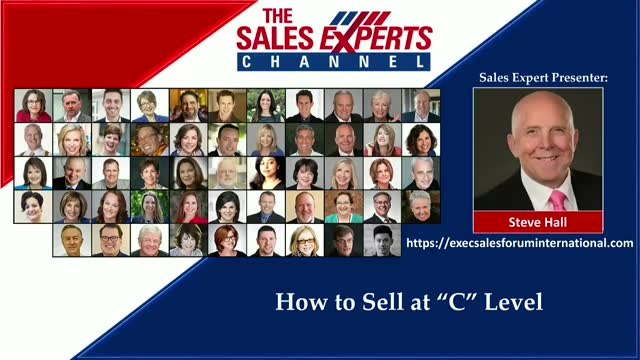 One of the best ways to impact sales acceleration is to start at the top – at executive or “C” level – and retain access while also working at lower levels in the organization. Knowing which organizations to approach and which people in those organizations to target is aided by effective sales and marketing alignment. This talk covers which organizations to target, which senior executives to target, what they care about, how to reach them, how to create a message that will compel them to talk to you, what to do when you get that critical first meeting and how to follow up.